Much can be learned from the ancient Japanese art form origami, when it comes to designing modern metamaterials. Photo: Lars Kruse. Origami. For many people, the word means not much more than skilfully folding paper to resemble swans, frogs or other animals. But origami is much more. There are examples of origami throughout the modern world, but it’s likely that you won’t notice all the things that are in fact inspired by this old 17th century Japanese art form. In 1985, the Japanese astrophysicist Koryo Miura revolutionised the satellite industry using origami. He introduced a simple system for satellites that made it possible to fold solar panels so that they physically took up very little space but they could easily unfold to full size when the satellite was in space. The system is called the Miura fold. Since then, origami and its sister technique, kirigami, have won an increasingly strong footing in technology. Someone who works with origami and kirigami in the realm of mechanics is Assistant Professor Marcelo Dias. By studying this old art form, he is researching socalled mechanical metamaterials, which are used as mechanical actuators, for example. “Take a completely ordinary material such as a piece of rubber. If you pull on both ends in a longitudinal direction, the transverse dimension is shortened as you pull. Similarly, the transverse dimension expands if you push the two ends together. If this happens, it means that the material has a positive Poisson value, and this applies for by far the majority of materials. 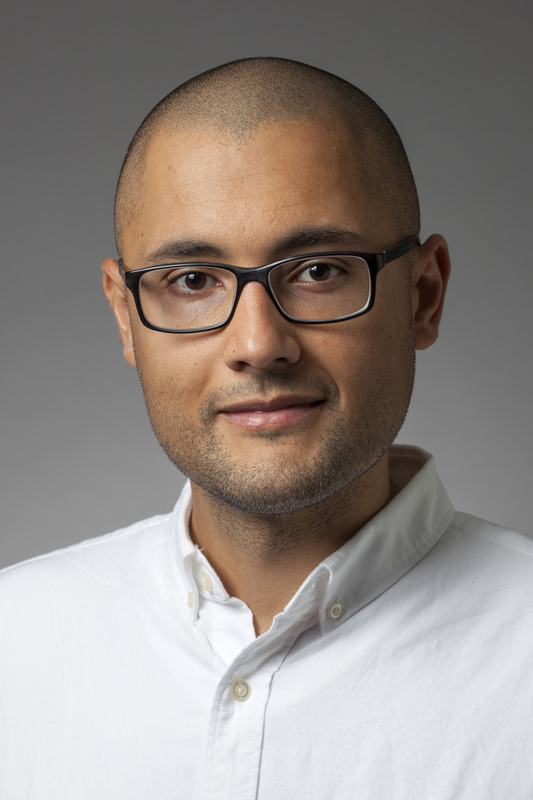 I research structures where a wellthought- out geometrical design results in materials with a negative Poisson value,” Assistant Professor Dias says. In principle, it’s about changing the properties of the material by folding and cutting in the right places - just as with Miura’s solar panel technique. It is also well-known from children’s popup books: You turn the page and up pops a castle with a princess at the window, guarded by a dragon. The technique can be used on many other materials than paper, and the advantage of crafted material property is that it requires very little energy to make the deformation, so you can add unique structural properties to the material. “You change the material’s structural properties by changing its geometry. The idea is to find an intelligent way to design folds and cuts to generate the reproducible movement you want. There are many ways to make use of these techniques in the real world, from large-scale down to micro-scale,” he says, pointing to flexible solar panels, for example, as well as prefabricated buildings and flexible electronics, right down to Micro Electro-Mechanical Systems (MEMS) and nano systems. “Before long we’ll be wearing our electronics - just like clothes. This’ll require that the electronics can move with our body and skin, but how is it possible to combine the suppleness of biological tissue with the rigidity of metals? This is a conundrum we’re working to solve by borrowing techniques from these old art forms,” he says. Marcelo Dias has been working with the Japanese art form since 2010, and he holds a PhD in the mechanics of origami from the University of Massachusetts.